the DSV-1 is anything but basic. 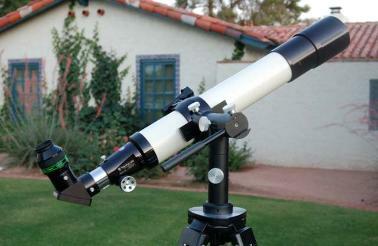 reposition the telescope. See the QBS page for more details. 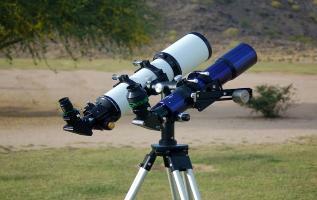 so both telescopes point at the same object. 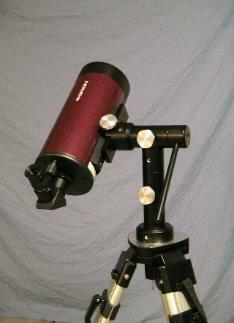 EQ mount and the DSV-1. CUSTOM MACHINED ALUMINUM KNOBS, knurled for comfortable grip. HANDLE INCLUDED at no additional cost in all configurations. column. if you need even more clearance, see the optional extension column below. CNC MACHINED FROM 6061 AIRCRAFT ALUMINUM for strength and low weight. PRECISION MACHINED, OVERSIZE STAINLESS STEEL SHAFTS damp vibrations quickly. 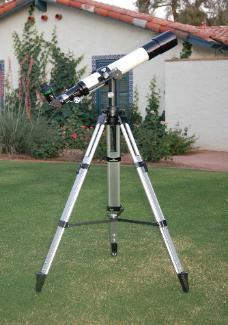 Dimensions: 11 1/2" H x 8" W x 3 1/2" D.
Tripod fitting: your choice of 3/8-16 or 5/8-11. Tough satin black powdercoat finish. 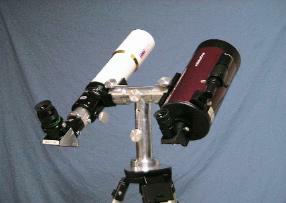 weight of the mount, the telescope(s) and accessories being used. 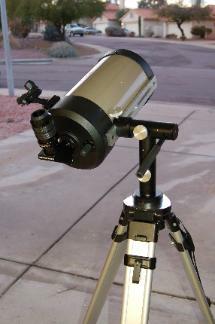 DSV-1, black powdercoat, single dovetail clamp: $190.00 + 12.00 shipping. 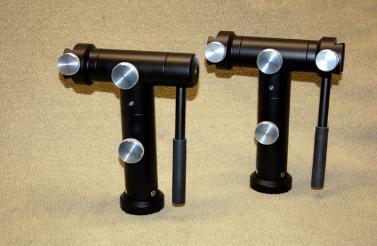 DSV-1, black powdercoat, double dovetail clamp: $230.00 +12.00 shipping. 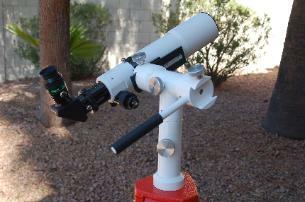 to raise the mount for more comfortable observing. tripods where extra clearance may be desired. 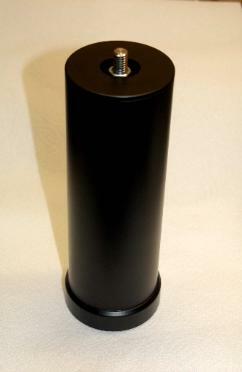 3" baseplate and 2.75" diameter column. 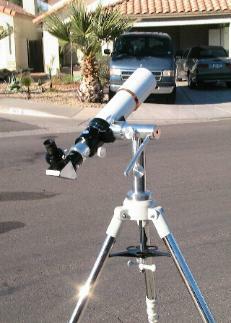 Aluminum & Stainless Steel construction. Other threads and heights available on request. locations, please provide shipping address for customized quote.